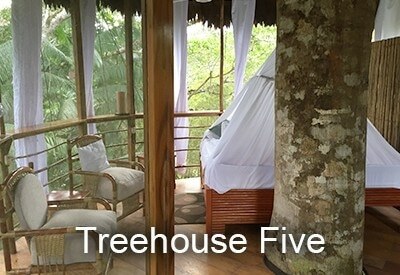 Treehouse 1 has a beautiful view of both the jungle and the towering comedor. 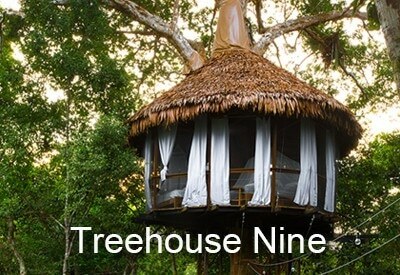 Entry is through a unique trap door in the floor. 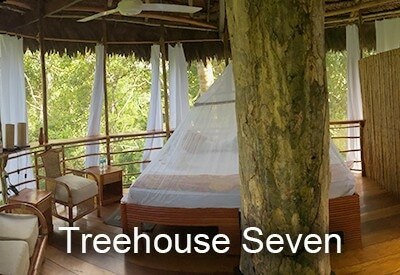 During high water, the treehouse stands high over a flooded lagoon, providing tranquil views of the shimmering expanse – it’s an experience you won’t forget. 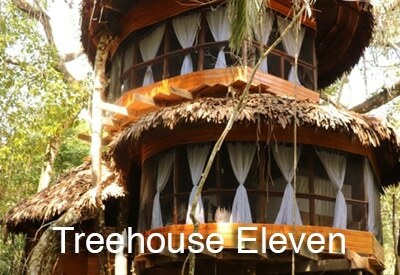 During low water, the vegetation revives and a view of the surrounding jungle beauty is something you will enjoy daily. 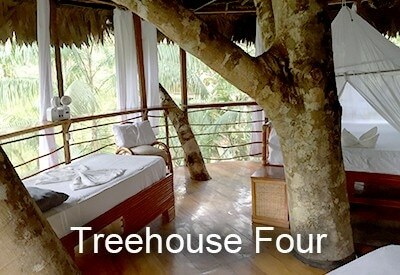 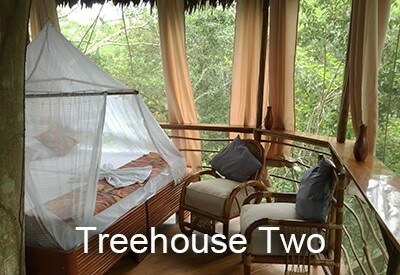 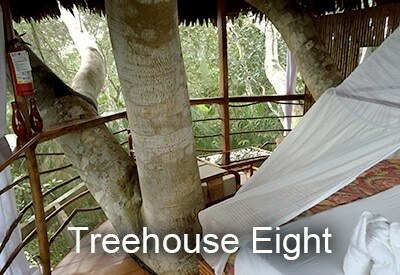 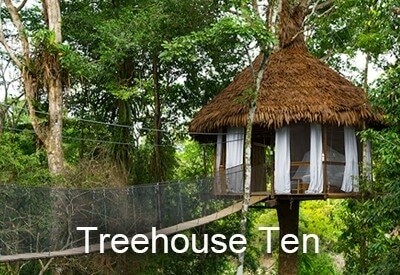 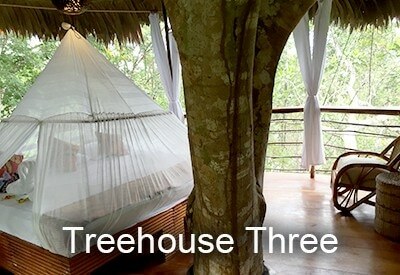 Treehouse 1 has two large branches within the interior which add to the feeling that you are home in nature. 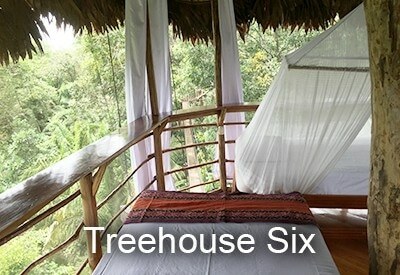 A portable bed can be provided if requested for an additional person.